BrightLocal is a professional SEO software that is designed for small businesses and freelancers. It features a customized location dashboard to track rankings, audit citations, monitor online reviews, and more. In this article, we cover user reviews and pricing. Ready to try BrightLocal? Get a free trial. Users who gave BrighLocal a positive review like its citation dashboard feature, track ranking tools, and helpful webinars. They also added that the software is reasonably priced. Users who gave BrightLocal a negative review complained that creating and running reports take quite some time, and that the listings that the software suggest are sometimes irrelevant to their business. They also mentioned that they cannot modify data reports. BrightLocal has three paid subscription options: Single Business ($29/month), Multi Business ($49/month), SEO Pro ($79/month), and Custom Package (customized). The main differences between the plans include the number of search ranking reports, keywords per report, citation & NAP reports, as well as the access to premium features such as LeadGen widget, analytics, and white-label reports. BrightLocal also offers a free Citation Building Only plan. It is available for users who needs access to BrighLocal’s manual citation-building service and data-aggregator submissions. Ready to try out BrightLocal? Get a free trial. Best SEO Software For Small Businesses: Web CEO vs WooRank vs Rank Ranger— SEO software is a part of a balanced and comprehensive SEO strategy to help your website gain traction and compete for valued and trusted organic search results. In this guide, we looked at the most popular options and rising stars and decided to review Web CEO, WooRank, and Rank Ranger. These companies covered the range of options for small businesses in terms of ease of use, features, and price. In what countries is BrighLocal available? Currently, BrightLocal’s tools work for the United States, United Kingdom, Canada, and Australia. However, they plan to launch their service in additional countries in the coming months. How will users benefit from the White Label feature? White-label options allow users to customize their reports and emails using their own branding, logo, and colors. It will remove all mention of BrightLocal branding on reports and emails. Not sure if BrightLocal is the right fit for you? Read our reviews of all top SEO services providers or check out one of these three BrightLocal competitors. Their rank tracking is really accurate. They track local results which is really helpful for those of us in Local SEO. They were the first to include screenshots which is awesome. There are a few things I find that make ranking tracking hard to make sense of. One is that if a new page starts ranking, it counts it as a new ranking which isn’t what I would define as “new” since the site was ranking previously, it was just a different page. The second would be tracking organic changes when the business ranks in the 3-pack. It doesn’t allow you to separate just organic. We use BrightLocal primarily for citation building for our small business clients. Compared to other companies that we have used, BrightLocal allows more long-term control of the citations that are built. They allow you to manually log in and make edits to the citations that were built and, unlike Yext, the citations stick around even after you cancel the service. I also appreciate the quality of the citations and the team that is working on them. We always get notified if there is a possible discrepancy. The GMB reporting doesn’t show you *past* results, which I think makes it hard to use the report as a means to show progress. I really, really wish that the GMB report would show previous rankings meeting current rankings as well as insights. I would also like a little more control over the white-labeling. BrightLocal is based in the UK so it’s hard to get responses to questions in a timely manner sometimes. The platform is also pretty slow once you add a ton of clients into it. Regardless, its still the best citation company I’ve used to date. The value of what you pay monthly vs the data you can gather for a business online is immense and well worth it. This is a HUGE negative for me, The data reports are both uneditable and not very well designed and laid out. I HAVE to be able to customise my reports for my clients, remove some3 tedious or complicated data, add info about possible solutions to issues and often times, just fix mis-spellings! But this has never been a priority for BrightLocal, I’ve been back and forth with them for several years and they just don’t seem to care about report customization. If they ever decide to change this, I’d be a lifelong user. The lack of report editing abilities. BrightLocal does an excellent job of providing an intuitive dashboard of tools to manage and monitor clients’ citations, rankings, and overall online visibility. I have no complaints or examples of the system not performing well. 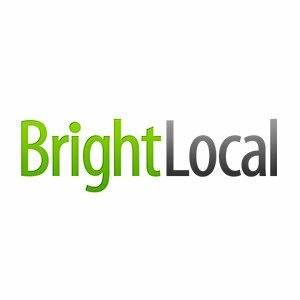 I’ve known about BrightLocal for a while from their Local Search and Reviews studies. I’ve always respected and appreciated their content and their tools have not disappointed me either. BrightLocal has a great interface for tracking my client’s SEO status. I wish they took the features they provide on their Citation Tracking for the top 40 sites and applied them to all citations. For example, from the dashboard, I can see the exact issues with NAP. However, the Active Citation screen does not provide this helpful information. Nothing really. I’ve been very happy and they always seem to be trying to make things better.